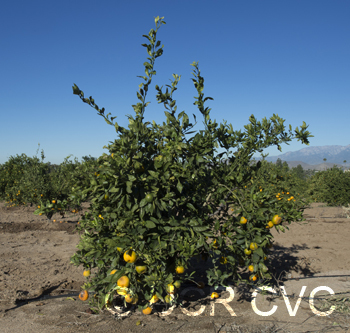 Photos by David Karp and Toni Siebert, CVC. 11/19/2015. Photo rights. Source: Received as budwood from China via CCP, 10/2009. 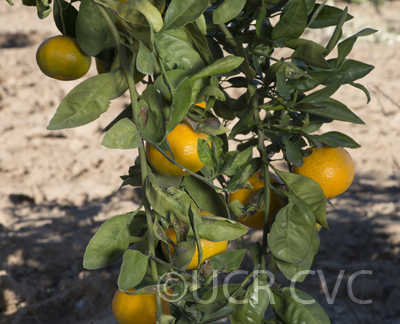 Said to have acceptable tree vigor and fruit quality with good cold hardiness. 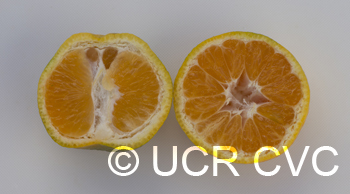 China S selections and # selections of Satsumas brought in by Dr. Huang and Dr. William Dozier of Auburn University in Alabama By Tracy Kahn 7-10-09: Spoke to Dr. William “Bill” Dozier today about the China S and China # Satsuma lines today that he arranged for clean up by the CCPP with Dr. Dave Gumpf around 1995. There are two sets. All together 14 or 15 of them survived propagation and clean up by the CCPP. The first set was given the “S” and these are the ones described in the letter from Bill Dozier to Dave Gumpf on August 28, 1995. These were brought back by this graduate student Dr. Huang. They were selected from fields in Hubei and Sichuan that had been devastated after a very bad freeze. These were the branches that had survived, so the three selection characteristics were cold hardiness, fruit quality and tree vigor. The second set was brought back by Bill after his trip to these areas of China to visit these areas of the freeze again either in 1996 or 1998. He is going to check on the date for sure. These lines were called the China #x Satsuma lines. Now one confusing part was there was two 18s, one that was part of the original set and one that did not survive cleanup at the CCPP. He just received the last four of the selections from John Bash in the past couple weeks. On his trip to China the Satsuma that he thought was the “prettiest”, best bright rind color and flesh color as well fine texture and great flavor was #18. He thinks that both 18 lines may have been the same because when he visited, Dr. Huang said that he already had 18 but he isn’t sure. Bill Dozier will be pulling together his data this summer and will continue to evaluate the Satsumas as part of his retirement plan. He has now retired from teaching at Auburn University but will continue his research. His wife died this past year. 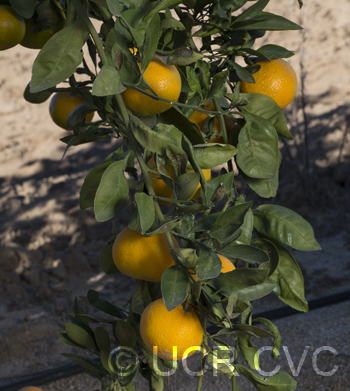 He is planning to come visit Southern California during the first or second week of September and would like to discuss these Satsuma selections more at that time. Since we have found that China S-9 had promise he would also like to come up with real names for these selections, names that are part of a sequence. He is going to contact those in China that assisted him to see if they have ideas for names, but he is open to ideas.